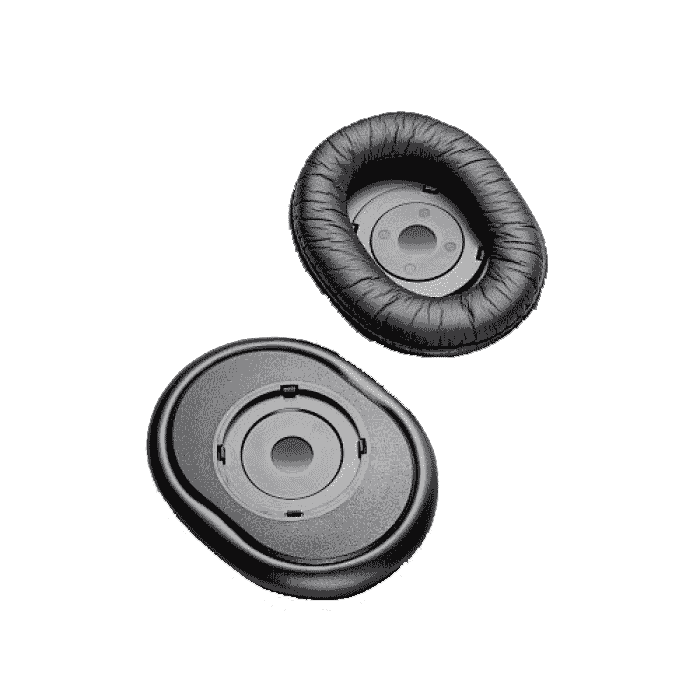 Plantronics Circumaural Ear Cushions (Qty 2) - 83195-01 - Headsets Direct, Inc. I have trouble hearing customers sometimes and this product was recommended to help with that. I am a customer service rep. who works from home and I wear this headset for hours at a time. What I have found is that it is not a “true noise cancelling” thing for your ears. You can still hear background noises, but it does help some. I don’t think my ears are shaped funny, however, I can feel the plastic pressing on specific points of the cartilage on my ear making it uncomfortable at times. I find that I have to adjust the headset every once in a while to help compensate… which is a pain at times. To explain, these have no electronic capabilities (which is required for true noise canceling) and only provide a larger sound barrier than the standard cushions that come on headsets. Excellent Customer Service. I have tried several headsets for a call center and there was a problem with all of them. It is a small room, so we were getting background noise and problems with the caller hearing us. I have searched all over and the reason I purchased these was “Wayne.” I searched and found this company and then called and he answered the phone, I explained the situation and he directed me to what I needed to purchase. I only purchased one set to make sure they were going to work. I called him a couple of times with questions and he was always great to answer and guide me with all of my questions. I placed an order with “Wayne” yesterday to replace all of our headsets. The product is great but the customer service “Wayne” was the best. Thanks again for all of your help.